While the task of counting our nation’s residents only takes up a few words in Section 2 of Article I and the 14th Amendment of the Constitution, the Census’s impact on the day-to-day lives of Americans is fundamental. Never are the high stakes of a few words in the Constitution and a few minutes spent on a questionnaire once every ten years more apparent than when the Census nears, and debates once again arise over how to count the nation’s population. 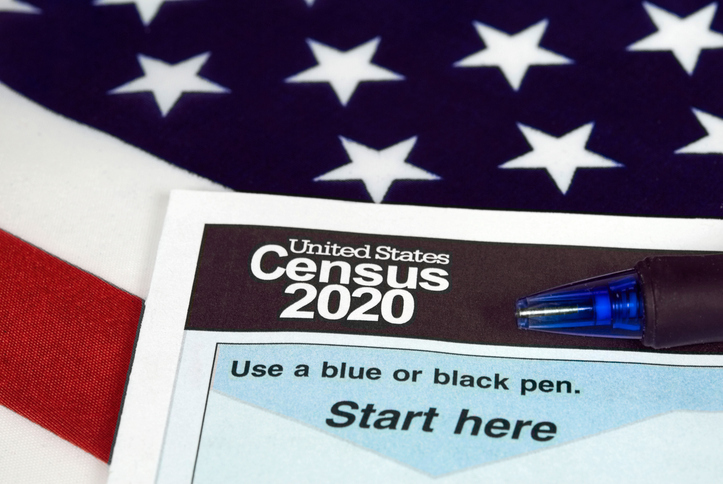 Last week, the U.S. Secretary of Commerce inserted itself in one of the fiercest such debates in decades by directing the U.S. Census Bureau to add an untested question about U.S. citizenship in the 2020 Census questionnaire. The mandate to conduct a Census in the U.S. Constitution is found in one of the most egregious original passages in our founding document: the statement that enslaved persons were to count as 3/5 of one person for the purposes of reapportionment of Congressional seats. This misguided course was corrected with the adoption of the Reconstruction Amendments, leaving in place the requirement that the nation take an actual enumeration of every member of the population, on an equal basis, every ten years. This directive is critical to the challenges that have been and will be posed to the U.S. Commerce Department’s decision to add a citizenship question to the 2020 Census. Hours after the announcement, California state officials filed suit, arguing that the Bureau had crossed the line and betrayed its Constitutional duty to count the entire nation. The state of California is not alone in its objections, with New York state this week leading a group of 17 states, seven cities and the U.S. Conference of Mayors in a lawsuit against the Census Bureau and Commerce Department. Decennial Censuses have consistently produced disproportionately large undercounts of many of the same populations who have been the targets of historical discrimination and exclusion, including Latinos, African Americans, and Native Americans and Alaskan Natives. The Census Bureau has traditionally not counted these minority communities as well as others, nor reached their members as effectively. The addition of a citizenship question comes at an already difficult time, with many Americans increasingly losing faith in the ability of the government to protect private information. In recent months, the Census Bureau has been made aware, thanks to internal briefing from enumerators, that even people who knowingly signed up to provide test responses to Census surveys have expressed fear and unprecedented reluctance to answer sensitive questions honestly over the past year. The Secretary of Commerce heard from bipartisan groups of mayors, business leaders, and even former Census Bureau Directors who opposed the addition of a citizenship question out of concern that its inclusion would diminish Census participation in already-undercounted communities. On the heels of the many legal challenges the current Administration already faces to policies alleged to be intentionally discriminatory, California and other future plaintiffs will focus on how the discriminatory effect of the adoption of a citizenship question by the U.S. Department of Commerce in the 2020 Census runs counter to its Constitutional duty. Representation, resources, and even the continued vitality of our democracy hang in the balance as our nation goes to court over the 2020 Census. The stakes are too high to fail, and we will not stay on the sidelines as those with ill-intentioned political motivations aim to jeopardize a fair and accurate count of Latinos and all Americans. Together with partners across the country, we will exhaust all legal and legislative avenues available to provide the Census Bureau with the fix and certainty it needs to uphold the Constitution and tackle its most ambitious task yet, counting the largest American population in history. Arturo Vargas is the Executive Director of National Association of Latino Elected and Appointed Officials (NALEO) Educational Fund, a national nonprofit organization that strengthens American democracy by promoting the full participation of Latinos in civic life. He also serves as the Executive Director of NALEO, a national membership organization of Latino policymakers and their supporters. Arturo has held these positions since 1994.